This is the original Watercolour painting by Neville Dear. 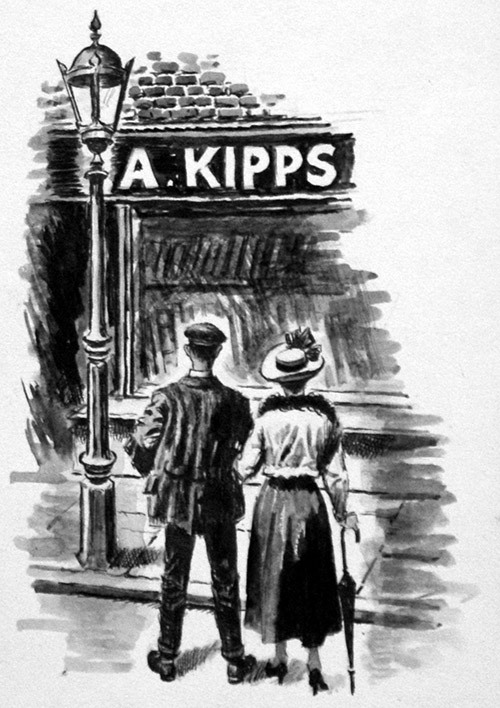 Kipps and his fiancée from H G Well's famous novel of social / class manners. The painting was one of several used in a feature on H. G. Wells' called A Guide to Authors and their Books, published in Look and Learn # 144 17th October 1964. Professionally matted ready for framing.